we ate this sweet . August 16th evening we had daimonji okuribi fire in Kyoto city. 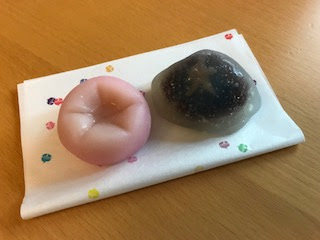 and this sweet shape is mountain for daimonji. yesterday we drunk japanese sake (dassai). we drunk this sake many times. 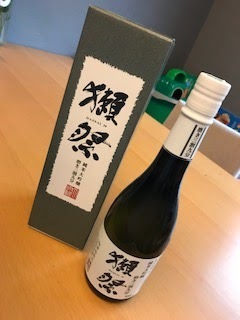 this sake was very nice taste.